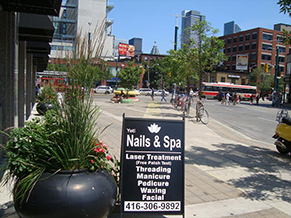 The best for Nails and Pain Free Laser Hair Removal all over the Toronto, Canada. 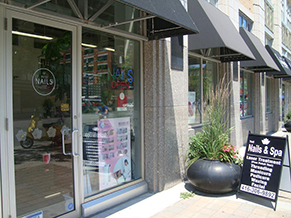 If you want to raise your spirits high and pamper yourself or a friend, you can rest assured of a warm welcome at Yeti Nails & Spa located in the heart of the olivera of Toronto. 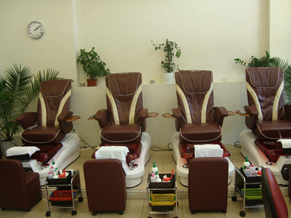 Based on a unique concept, devised to revolutionize the day spa and esthetic world, Yeti Nails & Spa servicess high class experience at an affordable price. 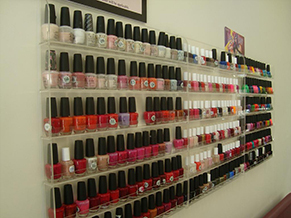 So why not to bring a little bit of indulgence into your life with our range of value-for-money services? 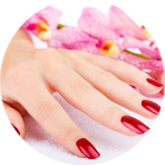 Spanning everything from traditional threading (khite) to the latest innovation of pain free laser esthetic services, Yeti Nails & Spa is always committed to help you reinvent yourself and escape the stresses and strains occurred in day to day life. 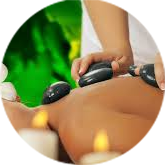 Spa is great way to relax and get entertained. 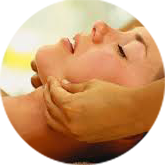 It also helps with stress reduction and dwells in a person some sort of relief. 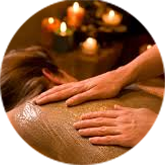 Soothing sore joints and muscles are also immediate benefits and you come out simply feeling better about yourself. The feeling of taken care of deeply is carried with us emotionally for a strong period as time. 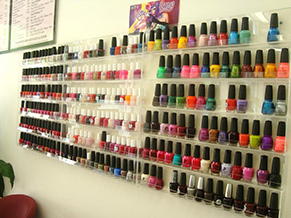 We provides satifactory services to our valued customers, devised to revolutionize the day spa and esthetic world, servicess high class experience at an affordable price. We always eager to give 100% satisfaction to our valued customers. 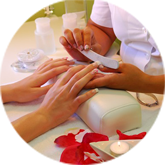 We services any kinds of Nails and Spa services including latest laser hair removal. Please click below link to see our affordable prices. IPL Acne Treatment: IPL Acne Treatment This treatment is able to effectively treat vulgaris, conglobata and rosasecea acne. Acne is born when the opening of the hair follicle is blocked, bacteria gets trapped in the hair follicle and begins to multiply rapidly. As the body's immune system attempts to fight these bacteria, inflammation begins and acne appears. The intensive light releases an oxygenator which eliminates the bacteria and kills bacterial activity. 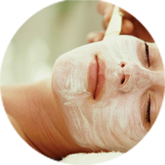 This relieves the inflammation and acne, and leaves you with soft and healthy skin. 1. The layer of clotted blood is broken allowing for free blood flow through the capillaries and therefore the disappearance of the purple colour seen near the surface of the skin. 2. The collagen layer is stimulated to produce more collagen, resulting in wider skin and concealed veins. Skin Rejuvenation: Low light energy, inserted into cells proliferates stimulates collagen production and induces collagen and elastic tissue synthesis; thus rejuvenating the skin. Recovery time after the treatment is very short. 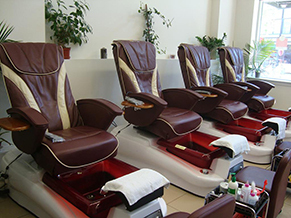 Though there may be some redness afterwards; most clients can return to work immediately. If you're considering a microdermabrasion treatment – or any other treatment, including laser hair removal and photo facial, we invite you to schedule a free consultation. © 2011-2014 respectively. Yeti Nails and Spa. All rights reserved. 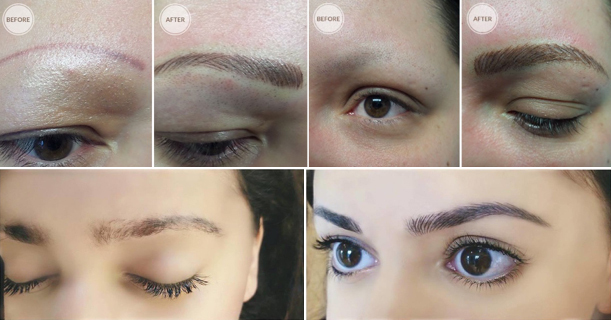 Microblading, also first known as eyebrow embroidery, is a semi-permanent makeup procedure that allows you to dramatically correct or fully reconstruct lost eyebrow. It was first introduced in Asia. Eyebrow Microblading is performed by manually depositing pigment in the basal layer of the epidermis by a special pen. It does not involve the use of a machine. 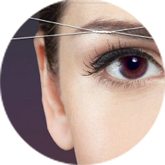 Unlike permanent makeup brow treatments, Microblading techniques involves drawing individual, crisp hair strokes that are more natural looking than tattooing, brow pencils or powders. The blade of microblading pen contains numerous pins that are 3 times thinner than the needles used for tattooing. When performed correctly, the procedure is almost painless. 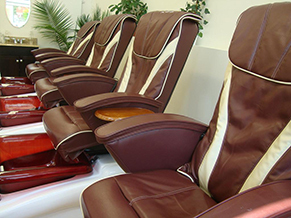 Technicians usually use a numbing solution to limit discomfort. Microblading was first invented at the beginning of 21st century. It must be performed in sterile environment, the technician must disinfect the area of the skin thoughtfully and use one time use tools ( pen, blades, micro-brushes). The most common complications and patient dissatisfaction result from misapplication of the pigment, pigment migration, and pigment fanning. 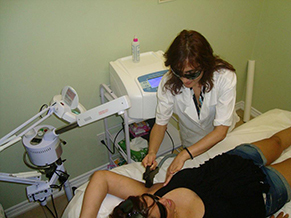 Procedure performed by well trained professional can minimize the risk of dissatisfaction. Eyebrow Microblading is a semi-permanent procedure which is carried out by a certified technician using a special tool with disposable microblades. In this process, the required pigment is deposited into the superficial layer of skin with the disposable microblade. The technician creates bespoke, crisp hair strokes which look like natural eyebrow hair. As microblading is a manual procedure, it absolutely differs from the conventional semi-permanent tattooing. When using a hand held micro blade, the colour is deposited closer to the surface than when a machine is used leaving very fine and crisp hair strokes with no spilling under the skin. 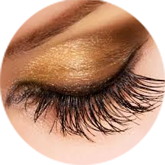 Microblading pigmentation normally lasts for duration ranging from 18 to36 months. After this period of time, colour boost or refresh will be good enough. The cost for this service starts from CAD 400 which includes consultation, initial procedure, an after care package and a refresh colour boost when needed. * Technician will carry out a Symmetry Assessment. Asymmetry is dynamic: a result of a difference in the tone of the forehead muscles and sun exposure of the skin. Microblading will not correct dynamic asymmetries. * Please be advised that eyebrow technicians are NOT cosmetic surgeons. The realistic goal is not to create perfect symmetry, but to make a moderate improvement to enhance the facial characteristics which are already present. The technician has to follow your natural eyebrow contour. We should always remember – not even two eyebrows are ever truly identical.